LEXINGTON — Mid-Ohio Sports Car Course has announced its 2017 spectator event schedule and that tickets will go on sale to the public Oct. 17. In addition to its four signature spectator weekends, Mid-Ohio Sports Car Course offers racing of all kinds throughout the year, welcoming a staggering number of amateur racing series to the track from April to October. Many of the Weekend Club Events are open to the public for $10 at the gate and are free to Mid-Ohio VIP Season Pass holders. 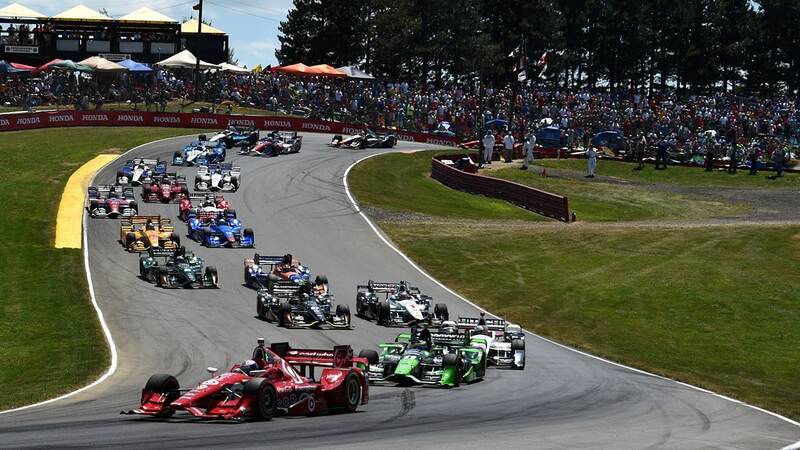 Among the Weekend Club Events are a variety of Ohio Valley Region Sports Car Club of America (SCCA) competitions, F1600-F2000 races, Northern Ohio and Buckeye BMW, World Racing League, USAudi and CARFEST gatherings, among others. The 2017 schedule for these events will be released in the coming months. As part of the ticket launch, race fans will also have the opportunity to reserve their camp sites and RV spots for the 2017 season early before they sell out. There is no better way to experience Mid-Ohio Sports Car Course than by staying at the park-like 330-acre complex during an event weekend. To purchase tickets or camping, visit www.midohio.com or call 419-884-4000, Monday through Friday from 8 a.m. to 5 p.m. Children under 12 are admitted free with a supervising adult and general parking is also free for all events.